Seventy-four current and former League1 Ontario players plyed their trade south of the border in the NCAA division I in 2017, with several making quite an impression. Junior Noah Pio (Cleveland State - Windsor TFC) was among the most decorated of the bunch after being named to the All-Ohio Region Team. Pio also earned All-Horizon League Conference honors after being named to the second team. He led CSU in points (15) and assists (5) while tying for the team lead in goals (5). In Horizon League play, Pio was third in assists (4) and was also among the top 10 in the League in goals and points. Pio finished the season in strong form, posting at least a point in seven of the final 12 matches. He scored or assisted on eight of the final 12 goals CSU scored against League opponents in 2017. Pio factored into both goals in a 2-1 League win over Belmont and assisted on both tallies in CSU's playoff clinching win over Wright State. He led the team in overall shots (50) and shots in League play (27) this season. 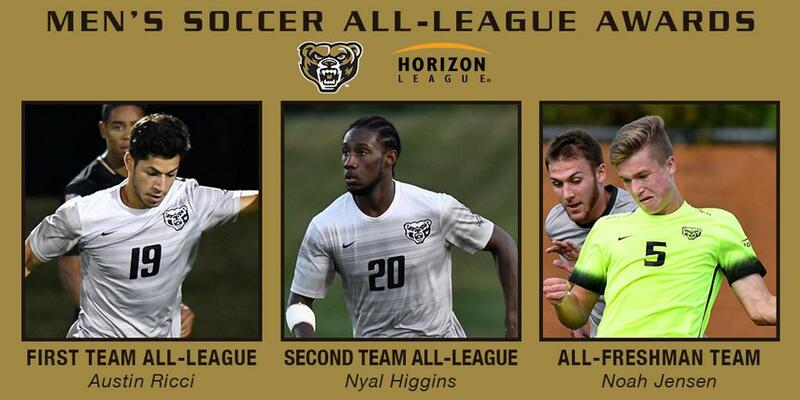 The Horizon League division was a real area of concentration for League1 Ontario players, with three other League1 reps - Austin Ricci (Vaughan Azzurri), Nyal Higgins (Vaughan Azzurri) and Noah Jensen (Sigma FC) - earning accolades following their season's performance for the Oakland University Grizzlies. Ricci, a senior at Oakland and a native of Richmond Hill, Ontario, led the team with eight goals - also good for third highest in the Horizon League conference. Ricci scored braces in two matches, and registered goals in all of the team's additional wins. 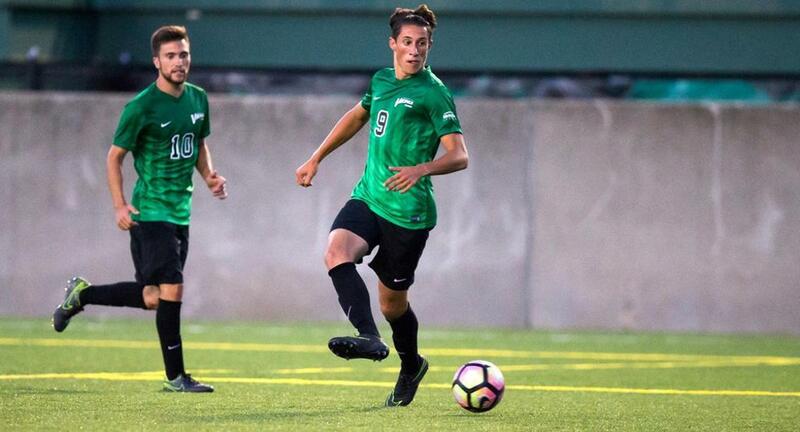 For his accomplishments, Ricci was selected to the Horizon Conference First Team All-League, and chosen seventh overall in Top Drawer Soccer's Conference Top 20 list. Previously, Ricci had been named the Horizon League Offensive Player of the Year (2015) and led his team in points for three straight seasons (2017, 2016, 2017). Teammate Higgins was a stalwart in the Oakland defensive line and was selected to the Horizon Conference Second Team All-League, while rookie Jensen made the Horizon Conference All-Freshman list after starting in nine of 16 matches and registering three assists. 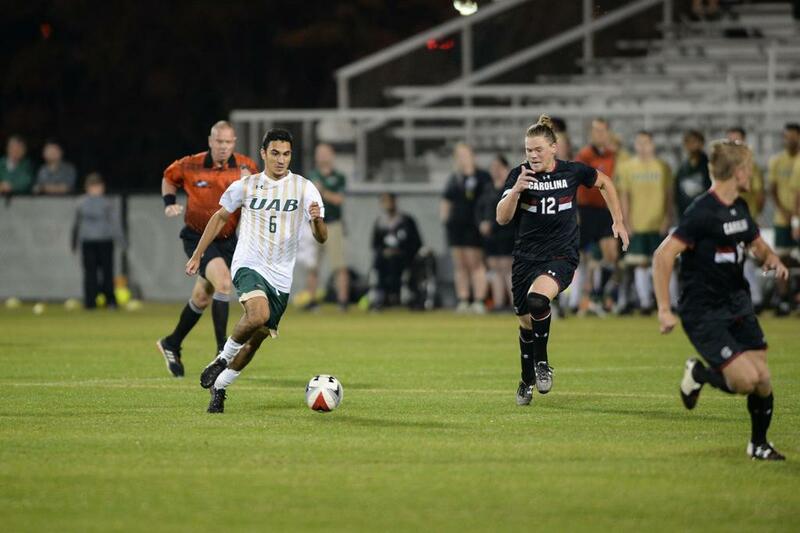 The USA Conference was another area where multiple League1 players made an impression, with two Vaughan Azzurri teammates - Massimo Ferrin and Mathieu Laurent - teaming up on the USA Conference Second Team for their school, University of Alabama Birmingham (UAB). A UAB junior, Mathieu Laurent also earned a spot on the United Soccer Coaches Scholar All-South Region Second Team with a 3.39 GPA in marketing. Ferrin was selected 15th of the USA Conference Top 20 players by Top Drawer Soccer, while Laurent was selected 18th. Ferrin was also selected as the UAB MVP for the 2018 season. Three other League1 players made end-of-season honours lists after their freshman seasons in NCAA DI play. 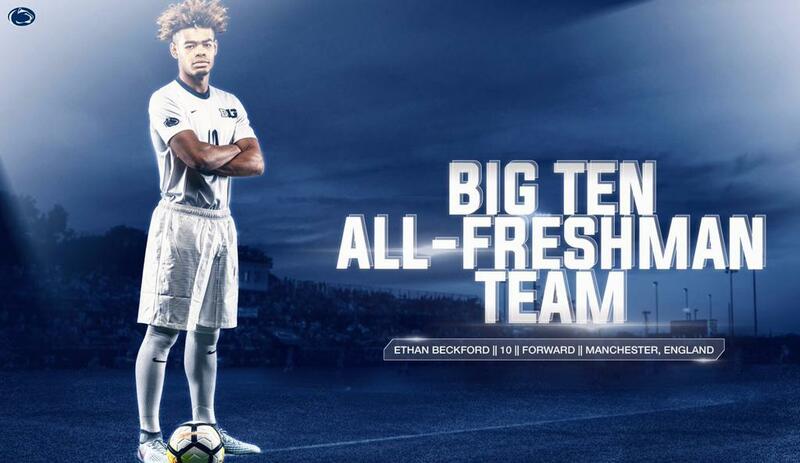 Andron Kagrmanyan (Fordham University - Sigma FC) was named to the Atlantic A10 Conference All-Rookie Team while high-flying forward Ethan Beckford (Penn State - TFC III) was selected to the Big Ten Conference All-Freshman Team and Mathew Krucko-Moeller (Niagara - Sigma) made the MAAC Conference All-Rookie Team. Finally, the MAAC Conference All-Academic Team included Mackenzie Roach (Niagara - Kingston Clippers) and Top Drawer Soccer listed forward Dylan Sacramento (Florida Gulf Coast - TIII) as 17th of the Top 20 players in the Atlantic Sun Conference.